In many large companies, institutions and government agencies employees are required to use a purchase requisition en route to an approved purchase order for essential supplies and services. The difference between a company purchase requisition and a company purchase order is a frequent source of confusion for some employees. A requisition, generally, is a formal request. In the context of procurement, purchase requisitions are internal documents submitted to one of the managers within a department or organization who has budgetary approval authority. Such a requisition may be a pre-printed form with spaces to be filled by hand, or an electronic document, created by a software package, accessible to multiple interested staff members over the company network. The employee submitting the requisition needs to specify in detail the supplies s/he needs, the exact quantities, available suppliers of the item(s), and the prices associated with each potential vendor. The approving manager may choose a specific vendor based upon internal criteria, or leave the vendor decision to the requesting employee. Employees usually favor certain suppliers whom they know stock the best products or are otherwise classified as trusted vendors. Once the appropriate authority approves a requisition form, the purchasing agent can create a purchase order to a prospective supplier of the quoted goods. The purchase order is necessarily more detailed than the requisition. It includes the supplies being purchased, the name of the office that needs to use the supplies, shipping address and payment terms. 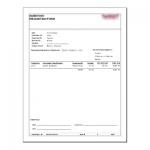 Each purchase order must have a PO Number to track purchases and maintain accountability. The PO should include invoicing instructions so that the supplier knows when and how to bill the company for the supplied goods. Firms making small purchases often do not use purchase requisition forms or purchase orders (we think this is a big mistake). Instead, an employee typically makes a direct purchase from a store using a company check, cash, credit card or other payment options. While this may eliminate a somewhat lengthy processes, it facilitates waste and fraud. Requisition forms become essential when the cost of supplies surpasses a certain monetary limit set by the company. Requisition forms may also be used in larger companies when one department is buying goods from another department within the same company. These are especially useful for accounting in large companies where each department has its own budget. Managers should make it clear to employees within their departments that they should requisition items only when there is an organizational need. An efficient inventory management system will make this probable. A requisition form indicates the urgency of a specified acquisition and allows a department to give clear directions to the purchasing agent at a company. 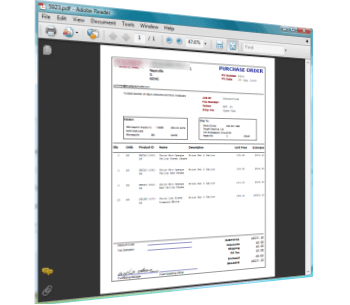 Purchase order software for Windows desktop. 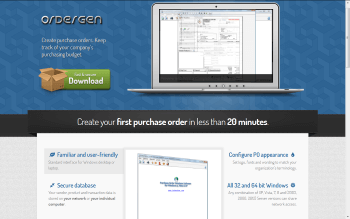 The latest setup for OrderGen supports installation on 64-Bit versions of Windows® Vista™ and Windows® 7, 8 and Windows® 10, by automatically installing OrderGen into the \program files (x86)\ directory on all Windows 64-bit systems. This entry was posted in Forms, News and tagged purchase requests, requisitions. Bookmark the permalink.